WE DON'T SELL ANYTHING. 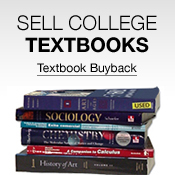 We find the cheapest textbooks for you by comparing prices at every good online textbooks retailer. The BIGWORDS Uber-BOT price comparison searches all the best stores and calculates shipping, promotions, and coupons for your entire order, saving up to 90%* by showing you the best combination of stores at which to purchase! Use the textbooks form to search, and then click Go! The Uber-BOT will calculate the lowest possible price. 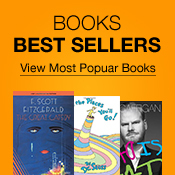 Your books can be used to help fight illiteracy in developing nations. Through a special partnership with Better World Books, BIGWORDS is offering you the ability to donate your used books to a great cause. Using this form, you can send your books to Better World Books. They will catalogue your books, and then send them somewhere where they can do someone some good. Better World Books sells enough of the donated books to cover their own expenses, including the cost of shipping the remainder to the places where they are most needed. After filling in this form, you will be presented with a postage-paid label. Simply box up your books, tape the label on the outside, and mail your books to help fight illiteracy. Your books, when received, will be assessed to decide the best use for this contribution. Books are either 1) donated directly to students in need in Africa, Asia or in high risk communities in the United States; 2) sold to generate needed funding (especially for the actual shipping of books once collected) for groups such as Books for Africa, Room to Read or The National Center for Family Literacy; or 3) recycled to ensure that no book is ever thrown away where it will likely end up in a landfill. Some of the books that stay here in the United States are being donated directly in support of Hurricane Relief efforts along the Gulf Coast (through The National Center for Family Literacy).